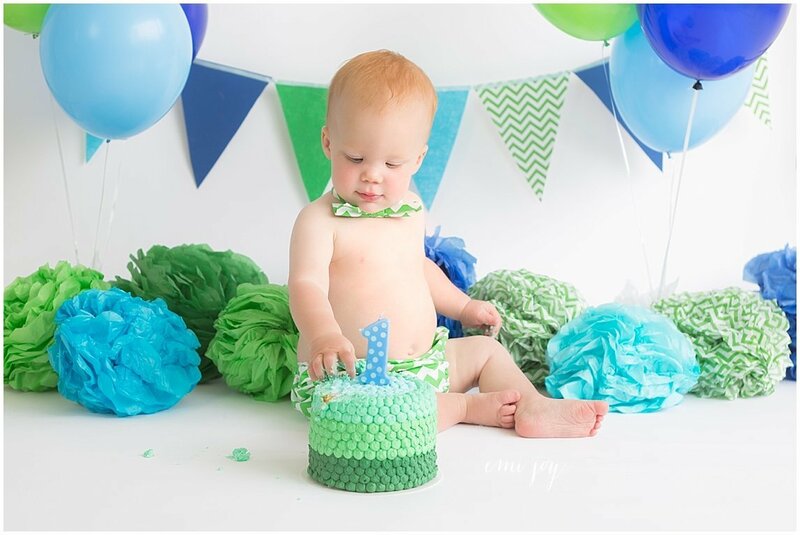 Congratulations on your one year old! 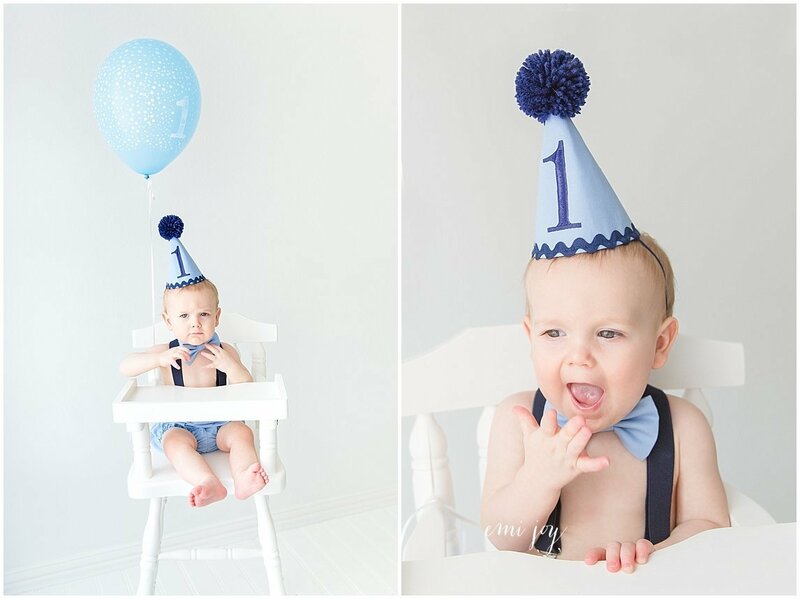 I´m sure it is hard to believe your baby is a year old already. 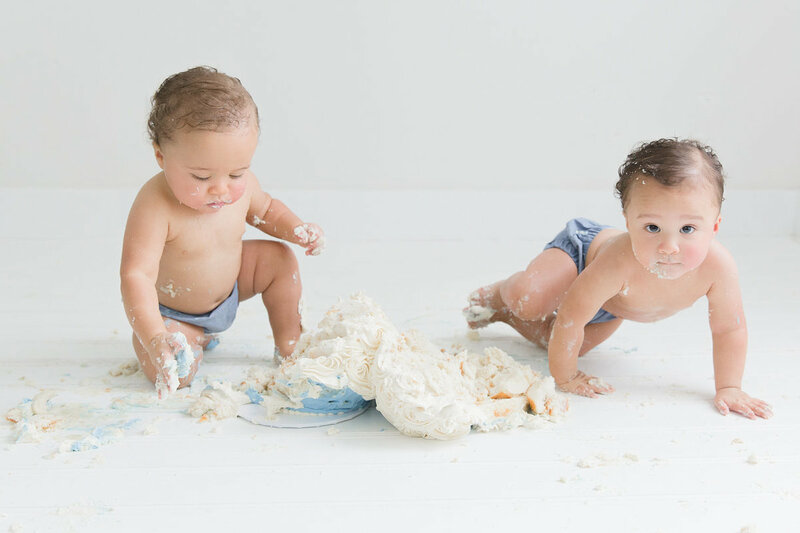 What better way to celebrate than with a cake smash session! 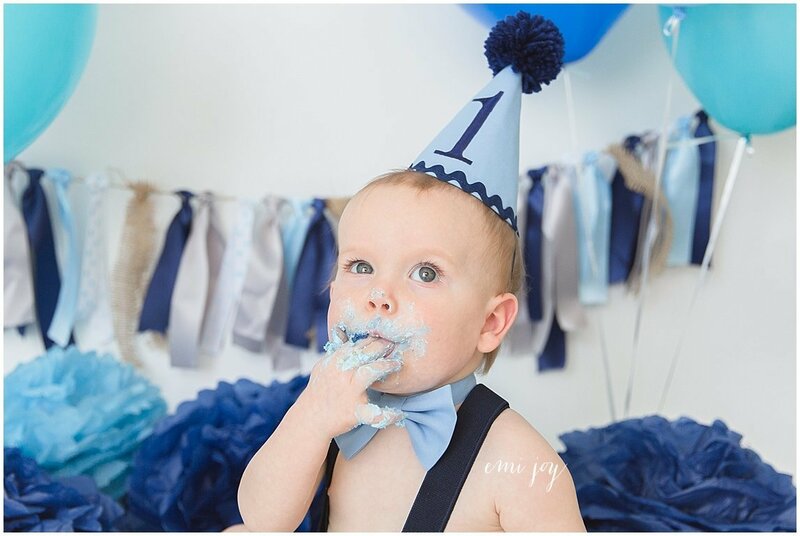 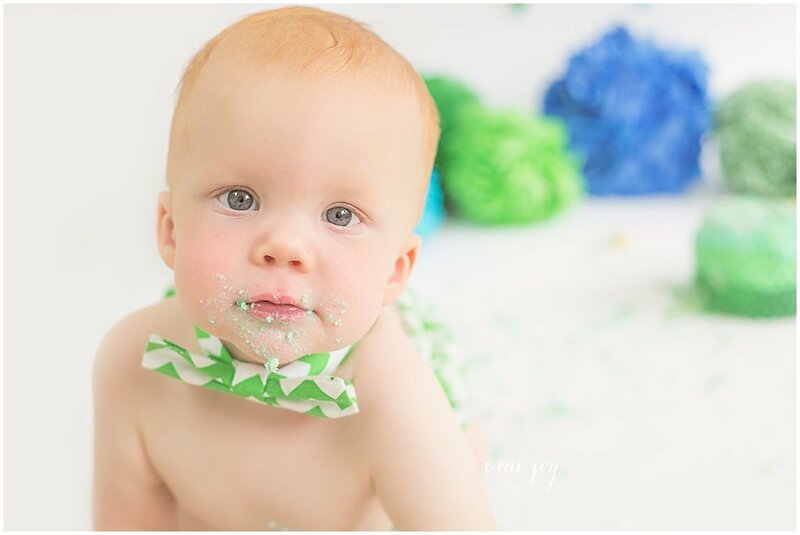 Not only is it great fun but “Cake Smash” images are ideal to use for your little one’s Birthday party invitations. 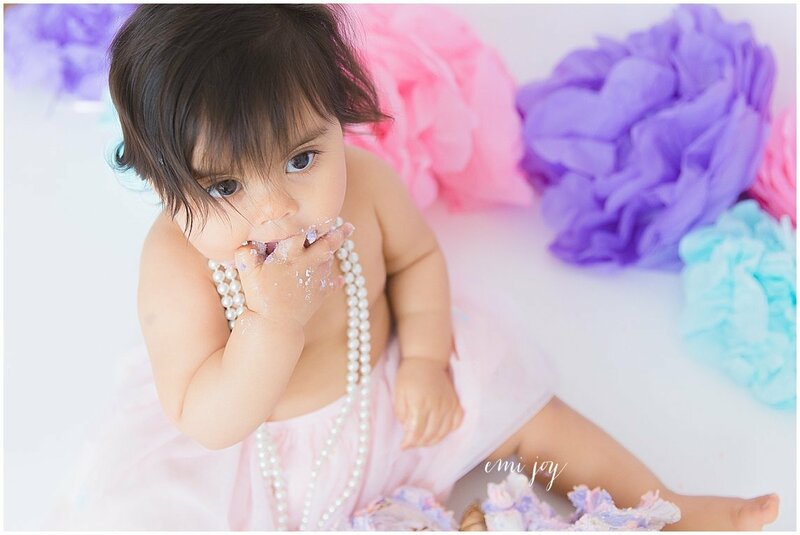 A “Cake Smash” session generally lasts approximately 1 hour and takes place in my studio. 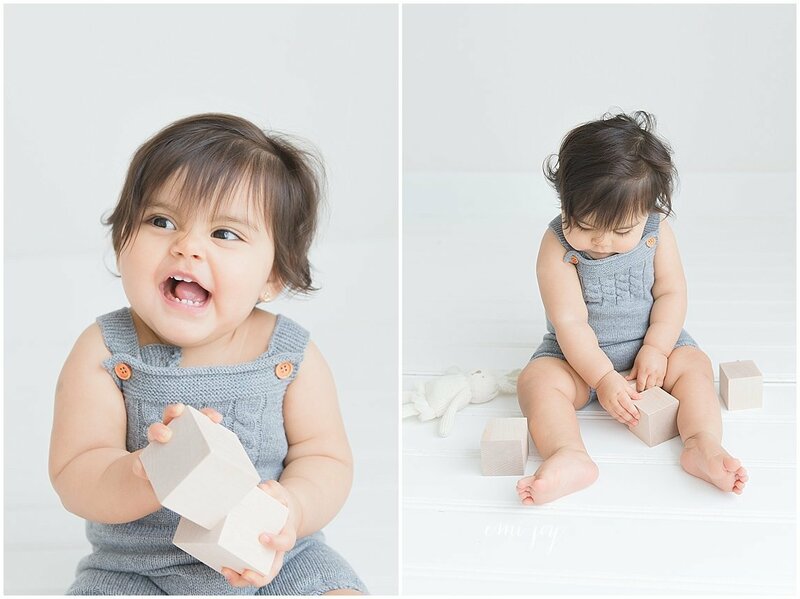 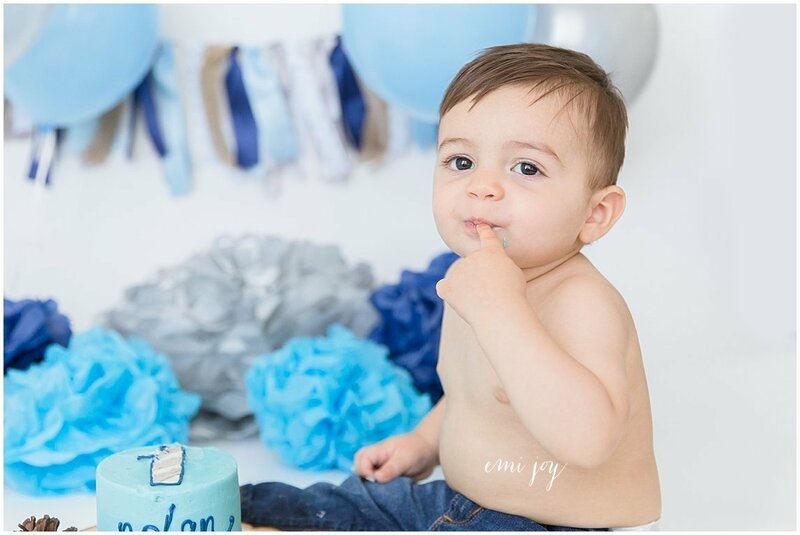 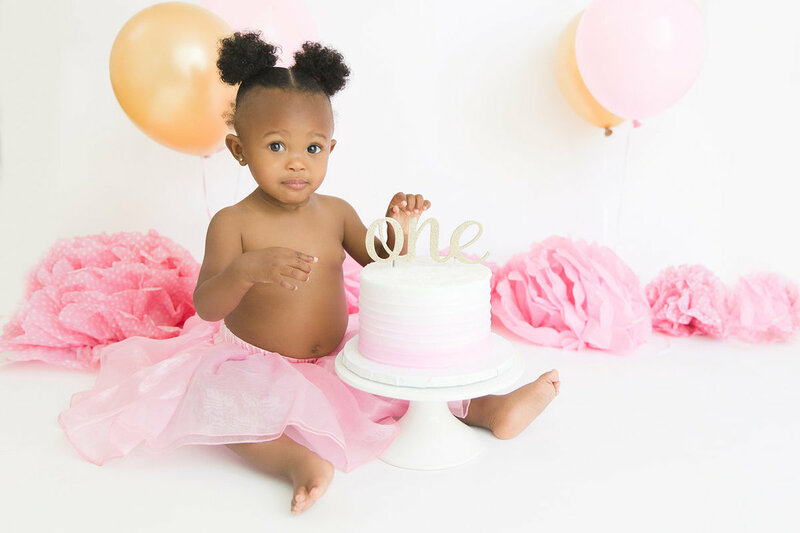 We start with some regular portraits being taken of your child to give them a chance to get comfortable in front of the camera and familiar with myself and their surroundings before we bring the cake out. 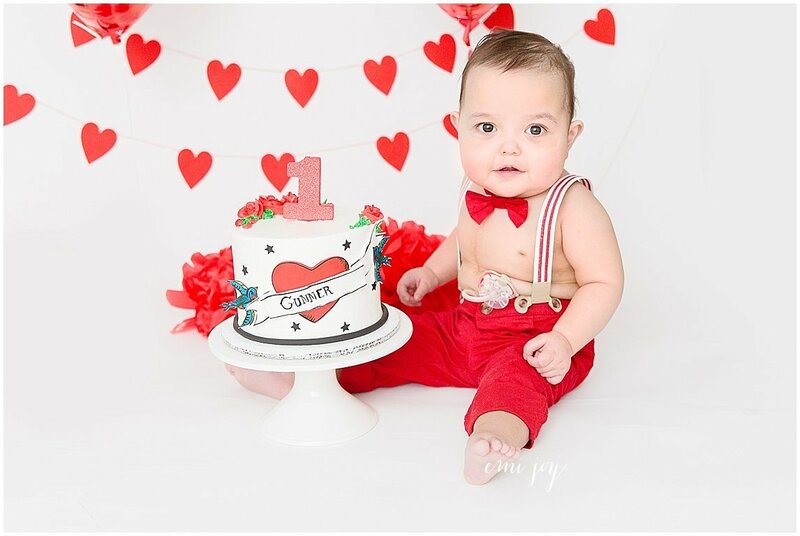 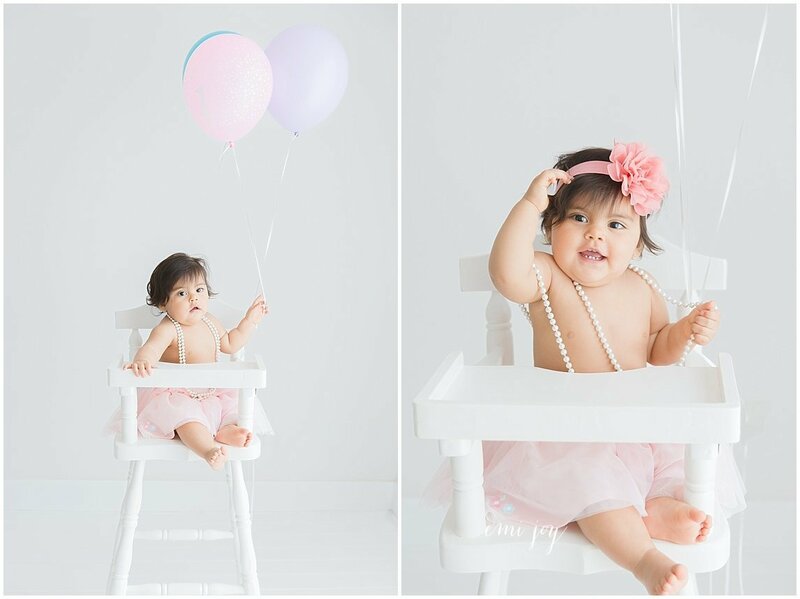 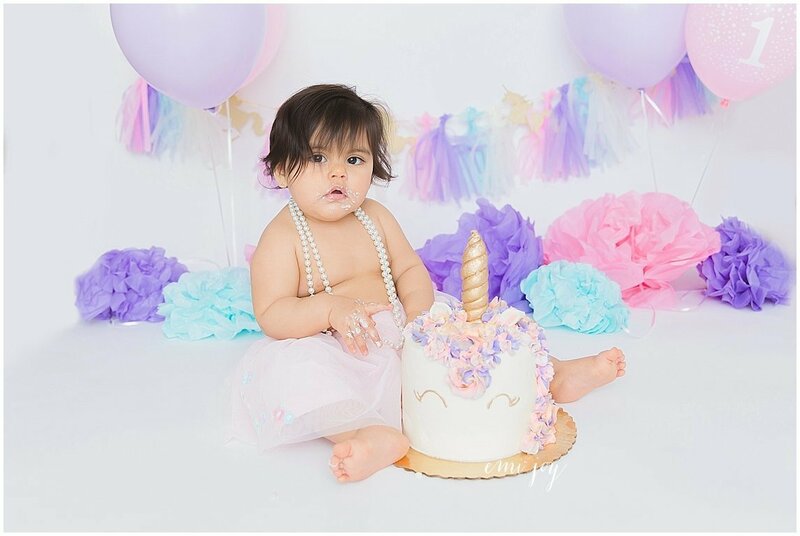 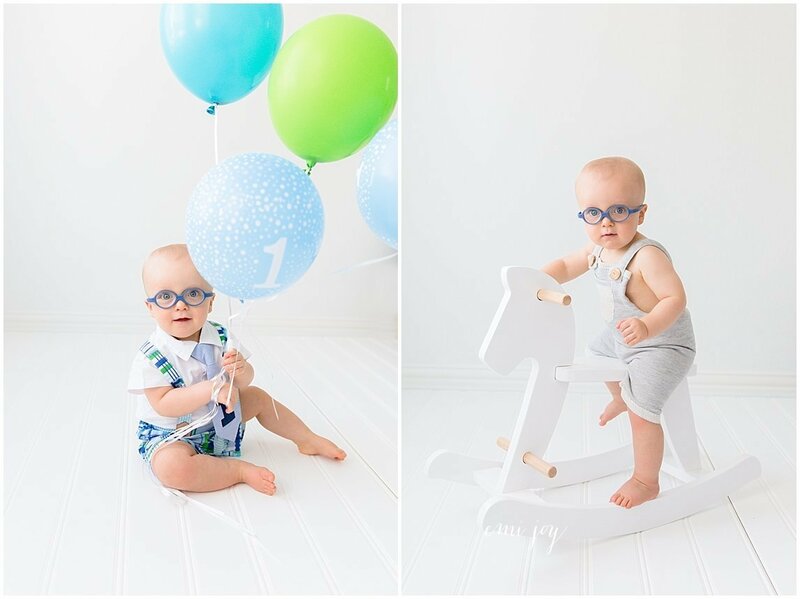 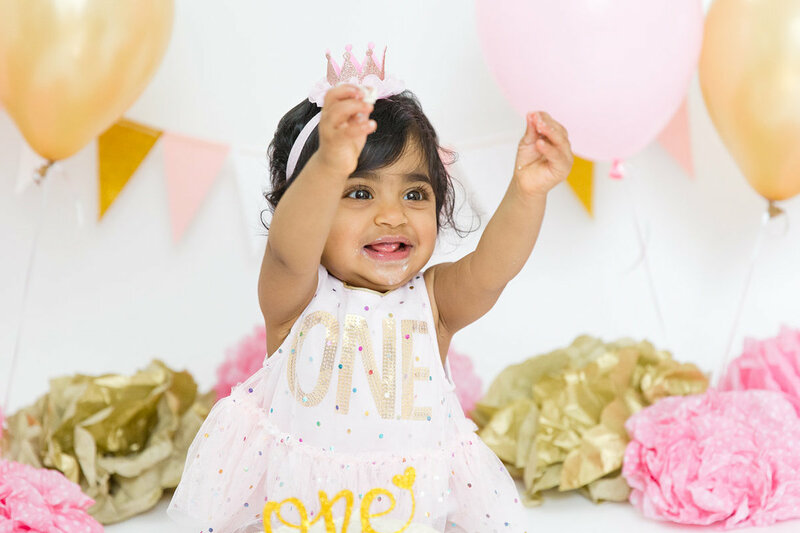 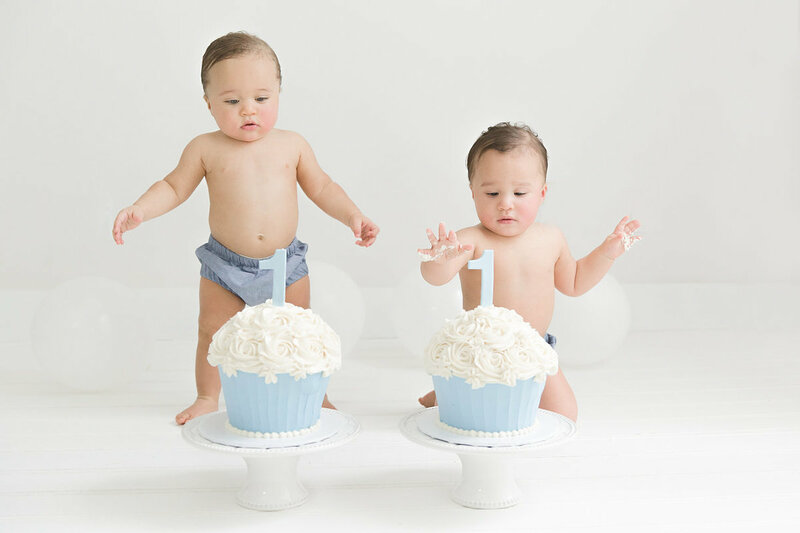 We encourage parents to jump in front of the camera for a range of formal and candidas shots that commemorate your baby´s birthday. 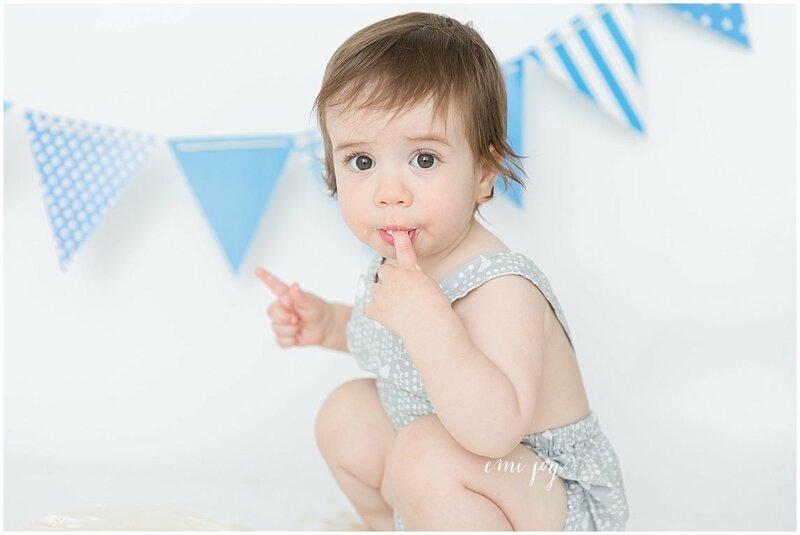 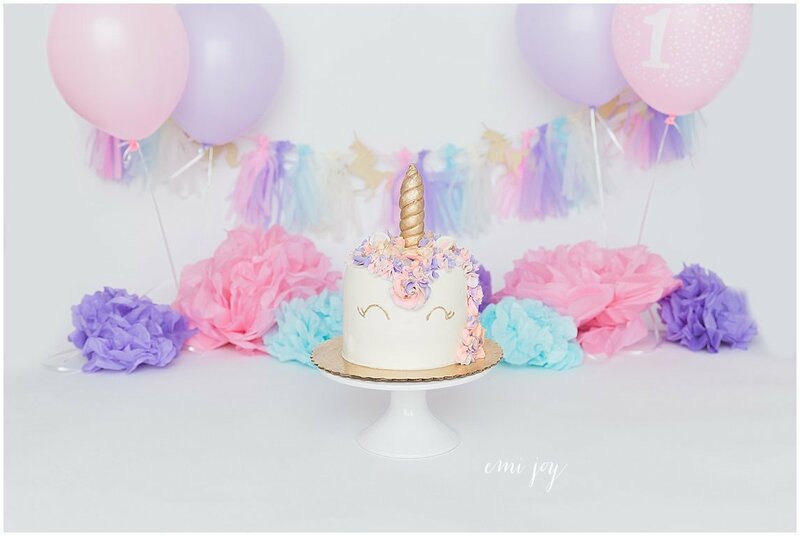 “Cake Smash” sessions are unpredictable but always a lot of fun, some little ones get right into it whilst others can be shy and need some assistance with the smashing. 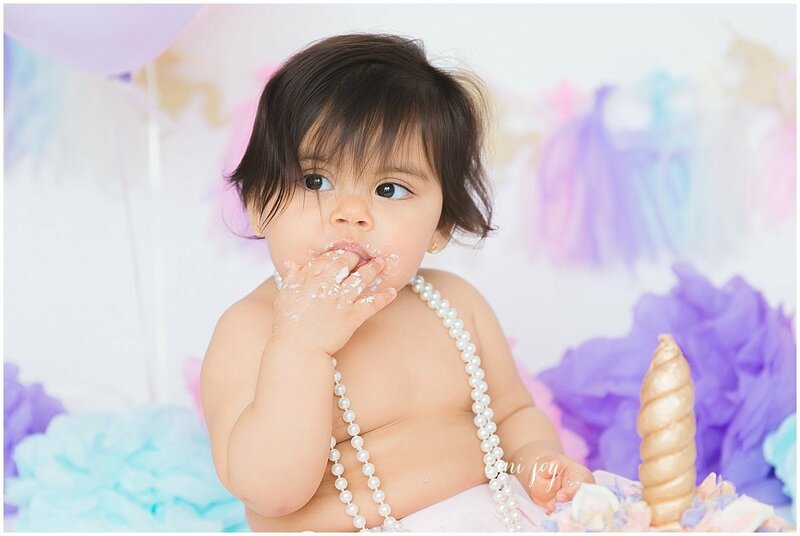 Either way, guaranteed there is cake and frosting everywhere by the end of the session. 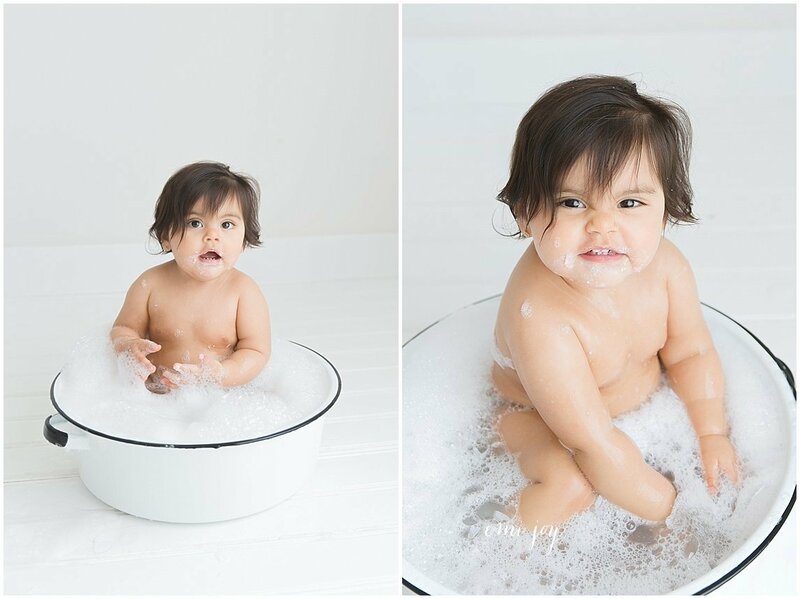 PLUS a “Bubble Bath Splash” – images taken whilst having a bubble bath after the smash in a vintage looking claw bathtub to clean up, (optional).